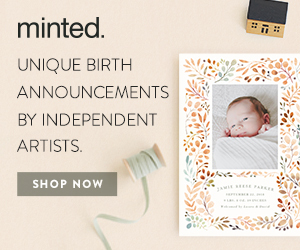 I’m super excited to share this beautiful nursery with you. 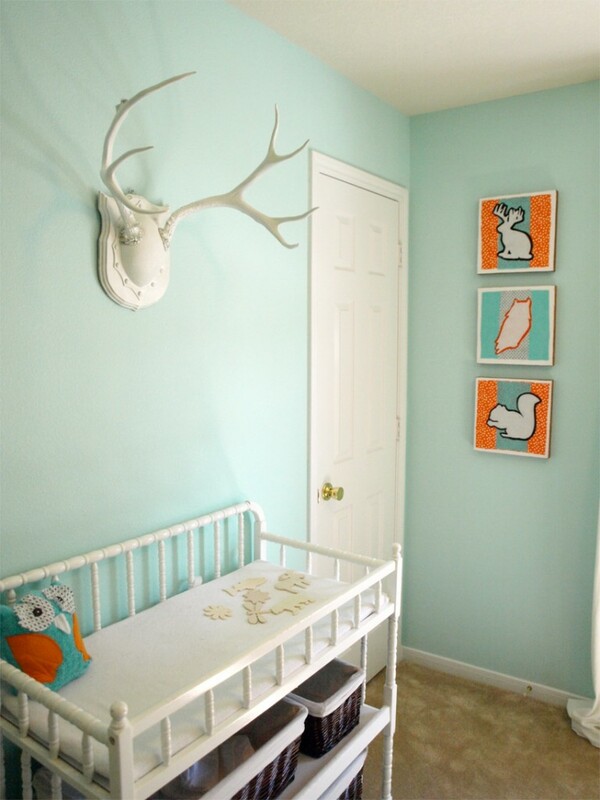 Cate of the craft blog See Cate Create, designed this fabulous nursery for her newest arrival. 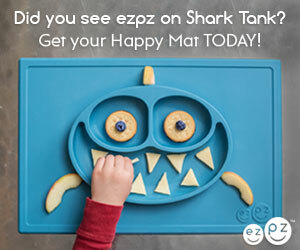 Of course, this crafty mom made most of the decor items herself! 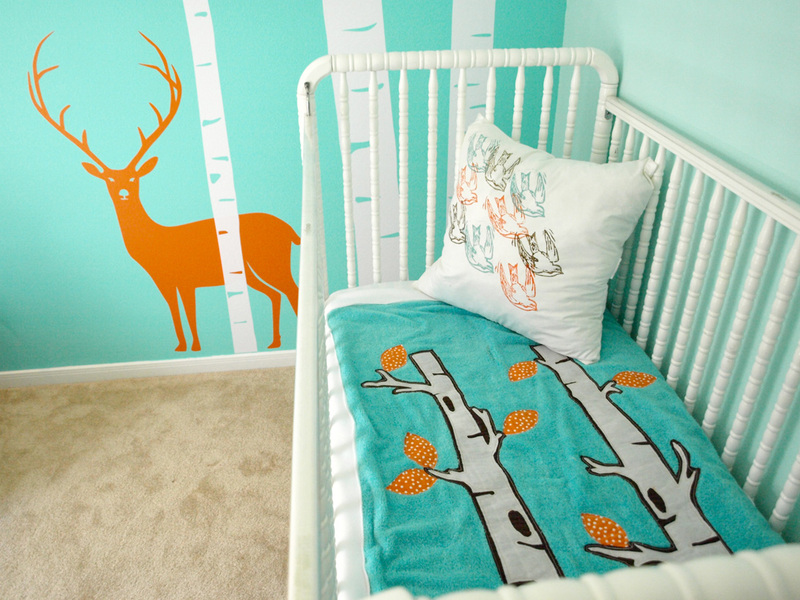 The inspiration for the entire nursery was the vinyl wall decal from designedDESIGNER’s etsy shop. 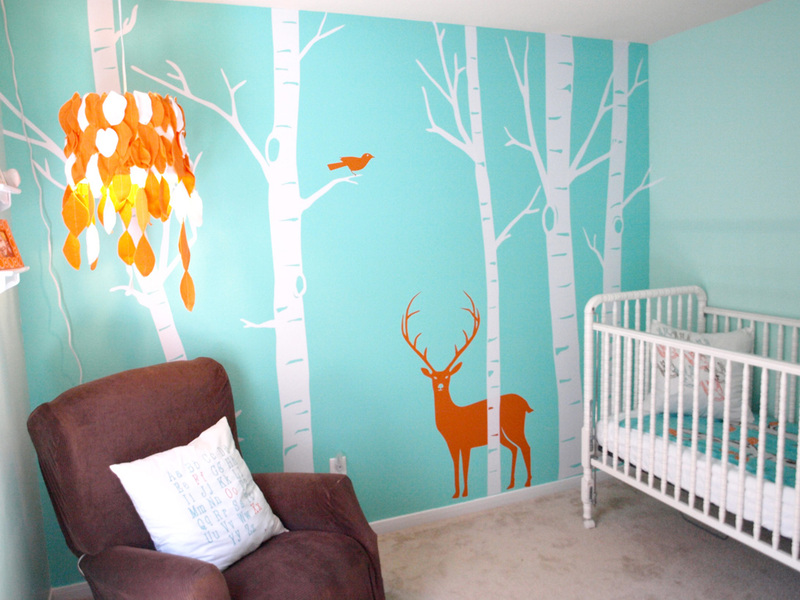 Large scale decals like this can become simple, elegant, custom wall murals, yet they are very affordable. They can also be removed rather easily when you’re ready to redecorate. Cate made the crib quilt using a bath towel, some polar fleece and scrap fabric. The design mimics the mural on the wall. She also block printed the bird pillow that sits in the crib. One of the most fun details in the room is the pair of white mounted antlers, which tie in beautifully to the overall design scheme. All these fun little details were also handmade by Cate and she has tutorials for some of them on her blog. Stuffed Owl- created out of a hand towel and scrap fabric and couldn’t be cuter! Fabric Wall Art- follow the link for a tutorial on how to make this gorgeous custom artwork. 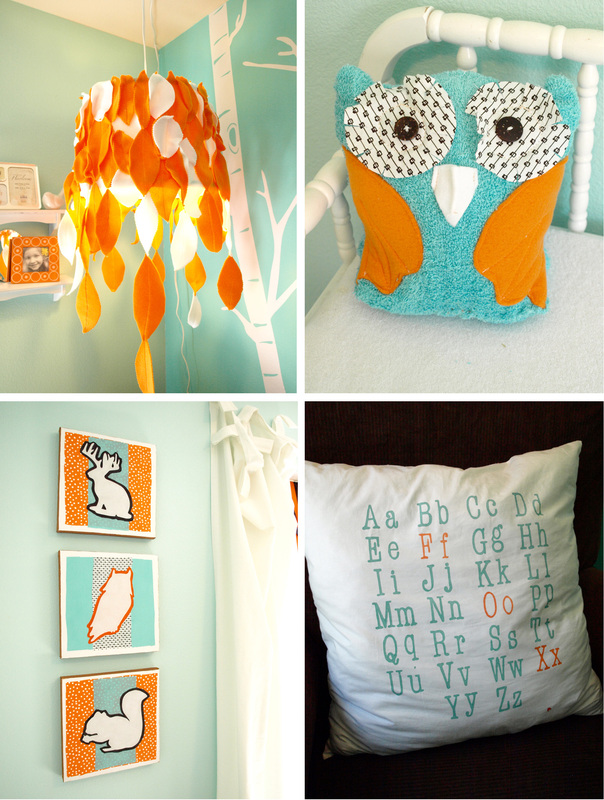 Alphabet Pillow- follow the link for step-by-step instructions to create your own! 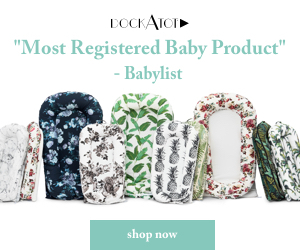 See the inspiration for the room and the before of the room in Cate’s “Not So Baby-ish” Nursery Plans post and be sure to visit her blog for lots of amazing craft ideas with easy to follow instructions. Thanks so much Cate for sharing the photos and creative ideas in your beautiful nursery! i’m curious to know exactly what paint colors she used. i have orange bedding for my little one but could not find the perfect shade of aqua so i went with disney’s lullaby green. I am extremely impressed with your writing talents and also with the format for your blog. Is that this a paid subject or did you modify it yourself? Anyway stay up the excellent quality writing, it is uncommon to peer a great weblog like this one nowadays..